The Union Ministry of Culture had organised programme, to mark 100 years of massacre that took place on April 13, 1919. Naidu, accompanied by Punjab Governor V P Singh Badnore, attended the event. Amarinder’s media advisor later said that CM “could not attend the event due to other commitments”. 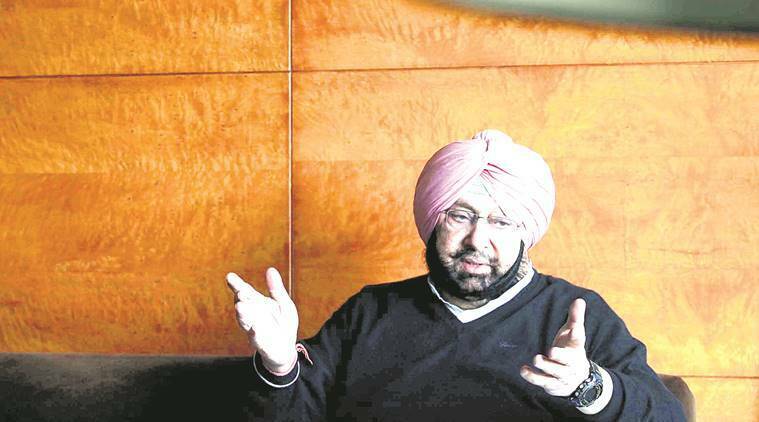 Punjab Chief Minister Amarinder Singh Sunday accused Prime Minister Narendra Modi of playing “dirty politics” after he claimed that the Congress leader skipped an official event, where Vice President M Venkaiah Naidu paid tributes to those killed in the Jallianwala Bagh massacre, as he was busy in the “parivar’s bhakti”. Amarinder alleged that the central government deliberately chose to hold a “parallel event” instead of supporting the initiatives and programmes of the Punjab government. On Sunday, Amarinder claimed that he had personally approached the PM several times over the last two years to seek support for ensuring that the occasion was commemorated in a befitting manner but the Centre had failed to respond suitably. “Instead, the Modi government decided to hold its own event, quite evidently to score political brownie points in the backdrop of the Lok Sabha elections. This was truly shocking considering that the prime minister is the chairman of the Jallianwala Bagh Trust,” Amarinder said. 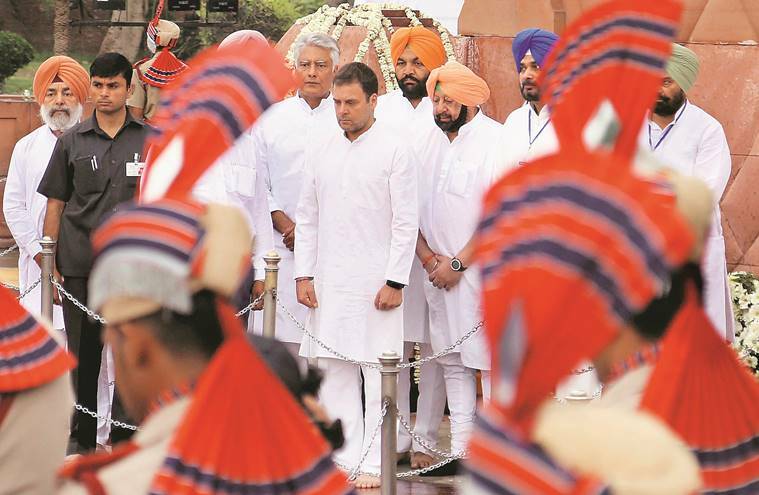 Congress president Rahul Gandhi and the chief minister had on Saturday morning paid tributes at the Jallianwala Bagh Memorial in Amritsar. Addressing a poll rally in Jammu and Kashmir’s Kathua, a town located on Punjab’s border, Modi said attacked Amarinder for skipping the event attended by Naidu. “The vice president went to Jallianwala Bagh to participate in a government function to pay tributes to the martyrs but the Congress chief minister was missing. He boycotted the function because he was busy with Congress ‘pariwar bhakti’,” the prime minister said. “There is a difference between ‘rashtra bhakti’ (patriotism) and ‘parivar bhakti’ (loyalty to family). I have known him for decades and never questioned his patriotism. But I can understand the pressure built on him for this ‘parivar bhakti’ and the tactics being adopted in Punjab. The Captain too had to bend before it,” Modi added. “Unlike the BJP, the Congress leadership does not believe in dictating terms to its state governments,” Amarinder said, countering Modi’s remark that he did not attend the Centre’s event under pressure from his party high command. “These things happen in the BJP, which you, Mr Modi, are running in your typical dictatorial style,” he alleged. The Punjab CM said that it did not befit a prime minister of the country to stoop so low in order to woo voters and urged Modi to refrain from demeaning the high office. He also exhorted the prime minister not to exploit the martyrdom of victims of the massacre, or of the soldiers dying everyday at the borders or in ISI-backed terror attacks such as in Pulwama, for furthering his and his party’s political ambitions. The Congress leader said that while Modi was busy in his “usual, dirty political games,” he was at the memorial for the state-level event marking the centenary.